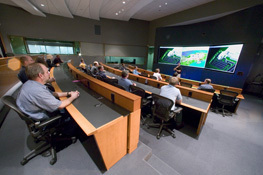 Bytemark and CWS ByteMark is a provider of innovative communication technology - hardware and support for computer and electronic experimenters and development professionals. CWS ByteMark makes numerous products and technical services available to companies, business professionals and individuals worldwide. This site is devoted to those personally or professionally interested in manufacturing, experimentation or Research and Development. 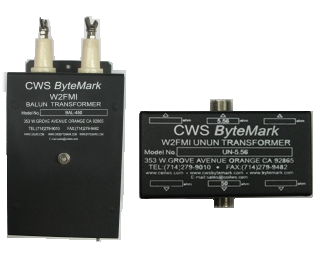 CWS ByteMark specializes in producing experimenter / R&D products and providing small and large quantities of specialized electronic components. Some of the parts stocked are ferrite and powdered iron components including ferrite toroids, powdered iron toroids, ferrite rods, ferrite beads, and the technical data to use them. 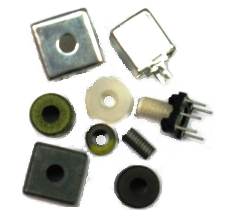 These parts are widely used for RF and Digital applications such as resonant circuits, switch mode power supplies, RFI / EMI suppression, signal transformers and DC chokes. 353 West Grove Avenue, Orange, CA 92865, U.S.A.